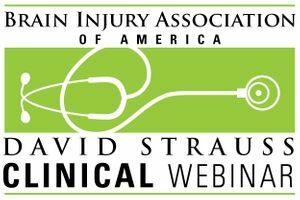 A David Strauss Memorial Clinical Lecture webinar featuring John Whyte, M.D., Ph.D. Aired live July 26, 2016. John Whyte, M.D., Ph.D., will discuss the organization of attention processes in the healthy brain, the occurrence and clinical implications of attention deficits following TBI, and cognitive rehabilitation strategies to improve outcomes.